You have to give filmmaker Dan Gilroy credit, he doesn’t pull his punches. Nightcrawler was a lean, mean noir-edged descent into nighttime L.A. madness featuring a main character, brilliantly portrayed by Jake Gyllenhaal, who was not exactly the nicest human being to ever be the protagonist of a high-profile production. 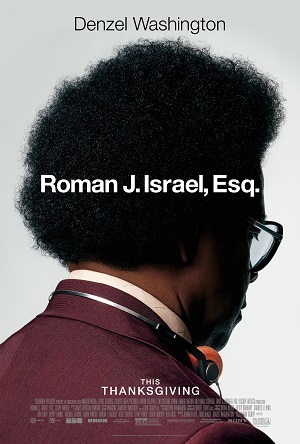 Now Gilroy brings us Roman J. Israel, Esq. starring Denzel Washington, and once again he isn’t interested in making things comfortable for the viewing public. But while fascinating as a showcase for the two-time Academy Award-winning actor, as a complex human drama the filmmaker’s latest effort frustratingly comes up short, the ideas presented in the story never gelling together in a manner that is consistently compelling. Attorney Roman J. Israel, Esq. (Washington) is at a loss as to what he should do next. His longtime law partner William Henry Jackson, a civil right legend who was the public face of their firm, is in a coma and unlikely to recover. 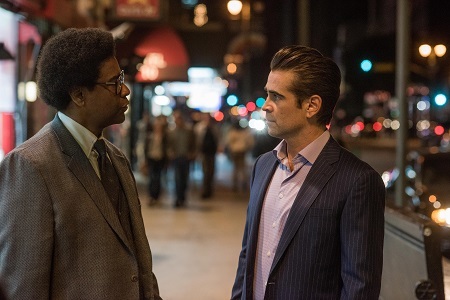 George Pierce (Colin Farrell), a fast-talking and ambitious lawyer who runs his own multimillion dollar practice, has been brought in to help clear the current caseload, and per instructions from Jackson’s family Roman needs to assist in dissolving the office and getting all their clients transferred over to Pierce. That’s how things begin in Gilroy’s story, things moving in a character-driven manner directly after that. Roman proves to be something of a savant. He remembers everything, and he can find every legal loophole there in order to help his clients. But he’s a terrible litigator and a poor public speaker, letting his self-righteous belief that all grey areas between right and wrong need to be eliminated so that the law applies fairly to everyone no matter what their race, gender or financial situation get the better of him, this indignation often leading him to make decisions that are hardly in his client’s best interests. Even so, Pierce knows a good thing when he sees it, and after letting Roman flounder on his own for a little while, he snatches the lawyer up and puts him to work inside his own firm. But when a single mistake leads to the death of a client while they’re behind bars, it becomes an active question whether or not this incredibly intelligent attorney is more trouble than he is worth. Even Roman starts questioning himself, making decisions that are completely out of character, especially for a man who has spent many of his waking moments fighting for the civil rights of others without anyone knowing about it. 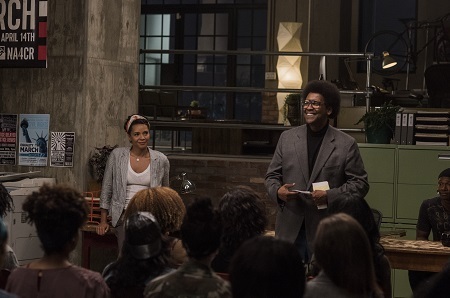 Only a new friendship with community organizer and equal rights crusader Maya Alston (Carmen Ejogo) has him wanting to keep fighting the good fight, the lawyer seeing in her a kindred spirit who reminds him of his ailing friend, mentor and partner William Henry Jackson. It’s a lot of material, but Gilroy presents things in a straightforward, easy to navigate manner so I can’t say I lost track of what was happening at any given moment. He also presents an interesting twist where Roman’s growing dissolution and questioning of his long-held beliefs about the rule of law and the current state of civil rights brings him to ponder a decision that could potentially destroy decades of his own hard work. It allows the movie to transform into some sort of dramatic noir, a good man suddenly doing the unthinkable for what he feels are solid reasons even if in the light of day all they really do is selfishly gratify himself in the short term, the bigger picture of his acts potentially having catastrophic consequences that are beyond imagining. But the weird thing is, as gripping as all of this is in concept, in execution it’s oddly dull. Gilroy isn’t able to generate anything akin to tension, and I frustratingly found it difficult to become emotionally engaged in anything that was happening no matter how dire things were slowly becoming. 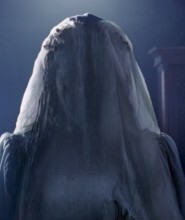 I felt like I was being purposefully kept at arm’s length; that this was an observational tale and not one I was supposed to feel a personal connection to. It’s a strange dynamic, one that I do not think suits the story Gilroy is telling, and as such I frequently found my attention drifting to other things instead of remaining focused on what was happening to Roman or what the repercussions of his actions might end up blossoming into. None of which takes away from Washington’s performance. The actor is terrific, bringing to life a character that’s unlike any other in his impressive filmography. He and Gilroy could seemingly care less how likeable Roman is or how much the audience connects to his more idiosyncratic mannerisms. Washington moves with a jerky indecisiveness that’s marvelous, allowing for a smooth, creepily unnerving tension to slowly mount as the character changes how he goes about doing things in his life as the film progresses. It’s the type of performance that almost makes watching the movie worthwhile all by itself, and much like Meryl Streep in The Iron Lady or Al Pacino in Danny Collins Washington elevates moderately middling material to a plateau it never would have risen to without his presence. I love that Gilroy challenges audiences. I can’t wait to see what he’s got up his sleeve as a writer and director next. 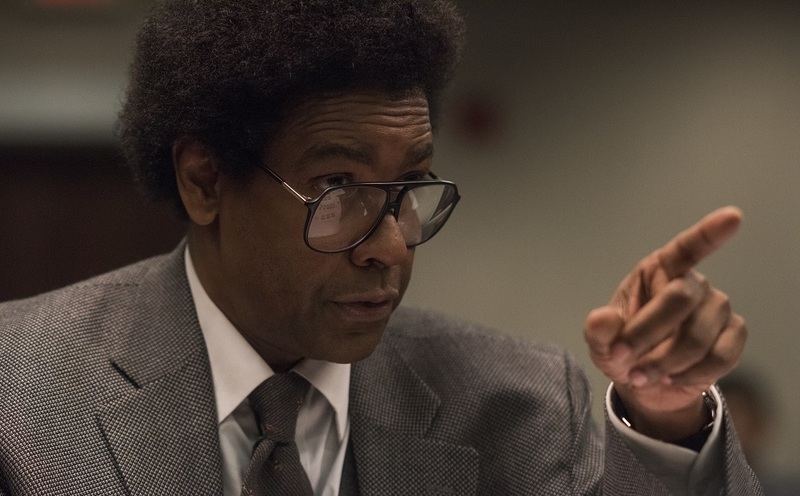 But, even with Washington’s magnificence, I’m having a hard time thinking Roman J. Israel, Esq. is anything close to a piece of essential cinema. There’s enough going on here that I’ll happily give the film a second look sometime in the future, and maybe when I do my opinion will change. But it’s not going to happen anytime soon, and as ambitious as Gilroy’s feature might be, that’s still not enough to make this piece of cinematic litigation worthy of being argued in the form of ticket purchases at the box office turnstile.